Okay, I've been really looking forward to doing this one, so let's get stuck into it. Portland's tale of woe is well known amongst NBA fans nowadays, how they cleaned up their image and formed a core which had championship written all over it, but were cruelly struck down by injury and are now forced into yet another rebuild. However, thanks to some questionable decisions by the Brooklyn Nets and some savvy drafting, the Blazers were able to retain pieces of their old core whilst adding high draft picks and one of the better incoming rookie classes of any NBA team. So let's see what Rip City can look forward to next season. The guard rotation for Portland is a youth movement, with only Wes Matthews and Ronnie Price having enough NBA experience to be called veterans. Outside of these two, Damian Lillard, Elliot Williams, Will Barton and Nolan Smith are all more or less new to the pro ranks. Wes Matthews, the undrafted wonder, is the sort of shooting guard every team would like to have, he's a hard worker, can play excellent defence, shoots the long ball consistently well (career 39% from deep) and doesn't need the ball in his hands for half of the shot-clock to get his numbers. That said, he can sometimes fall in love with his own shot, and can force tough shots at times, so ego is a slight concern. He's in a position to be a starter for this Blazers team until his contract runs out, but he's a glorified role player at best, and if the Blazers are going to improve their lot and rejoin the West's elite teams, they will need to find scoring and play-making from other positions, because Matthews can't be relied upon to create off the dribble, and open looks are hard to find in the playoffs. The other vet, Ronnie Price, will play sparingly in this young backcourt, but will provide a role model for their young guards as a guy who's been there and done that. Surprise lottery pick Damian Lillard will be immediately handed the keys to the offence, with Raymond Felton departing for the Knicks this off-season. Although I'm hesitant about Lillard's ability to thrive as a scoring point in the NBA, he's made the right start by destroying Summer League competition on his way to Co-MVP in Vegas with Josh Selby of the Grizzlies. Playing against inferior competition in his college years, nobody knows if his play in the Summer League was a sign of things to come or an anomaly. Whether he can get his team mates involved, develop some chemistry with incumbent franchise cornerstones Nicolas Batum and LaMarcus Aldridge will be a determinant of his future in the NBA; he could be a star, or just one of many athletic point guards in this generation. Either way, he's already done enough to prove he belongs in the NBA. Elliot Williams is also an unknown quantity for this team, despite two years already spent with the organisation. Unfortunate injuries have held him back from seeing significant time, but if he can stay healthy he'll likely be the first shooting guard off the bench in the early part of the season, but might lose out to second-rounder Will Barton if he doesn't impress early. Barton is a long-time favourite of mine and while I was stunned he fell as far as he did, Portland is the perfect situation for him; they have enough veterans to take the pressure off him and let him develop at his own pace, but the players ahead of him on the depth chart aren't cornerstones, and he certainly has the capacity to beat out any of their current off-guards given a bit of NBA seasoning. He was one of the best guard rebounders in college last season, despite his slender frame, and his competitive will to win is impressive. Although he's an unorthodox player right now, and needs to improve his jump shot, he's a battler who will put in the work to address those weaknesses. Most recently, Barton grabbed headlines by scoring 72 points against the likes of Brandon Jennings, Kemba Walker, Derrick Williams and other Under Armour athletes as part of the brand's promotional tour across the country. If you haven't seen the highlights yet, check them out, because although the defensive pressure wasn't NBA level, Barton clearly got under the skin of Jennings and simply scored at will, regardless of who tried to stop him. Nolan Smith is a combo guard who was surprisingly taken in the first round last season after a storied career at Duke, but he's best suited as a spark plug off the bench, and should backup Lillard at the point for lack of an alternate on the roster. Although he tried to escape to the north this off-season, Nicolas Batum is once again a Trail Blazer after they matched his deal, and will take the lion's share of the minutes at the 3, with little depth behind him. Now that he's inked the new contract, the pressure is on Batum to improve his scoring output, continue his defensive excellence and provide leadership for the younger members of the squad. Batum should look no further than Luol Deng for inspiration; Deng has made a career of stingy defence and picking his moments to score with his smooth jumper, despite lacking a particularly tight handle. Batum has excellent size, a nice shooting stroke and great mobility, but he can be indecisive with the ball in his hands and lacks the confidence in his offensive game to take chances at times. If Batum wants to be a star, as he recently told the press, he can start by showing more self-belief. Backing up Batum will be Luke Babbitt. Babbitt was the 16th pick a few years back, but has failed to break into the rotation before now, with Batum and Gerald Wallace ahead of him on the depth chart, but with Wallace gone and Batum starting full-time, the position of backup SF is there for the taking if Babbitt has the drive to take it. He'll provide the outside shooting that saw him taken in the first round, but it's unlikely he'll bring much else to the table this season. Luckily, there isn't too much pressure and he can develop at his own pace. With Craig Smith off to Israel this season, there's a good chance the Blazers will sign another SF before the start of the season, and if rumours are to be believed, former 3rd overall pick Adam Morrison could be that guy. Morrison was supposed to be the second coming of Larry Bird, but a tough loss in college killed his spirit, and the fire that made him a star in college was never really seen in the pros. This is his last chance to stick on an NBA team, and for his sake I hope he can. If not, he'll just have to be satisfied with the two championship rings he earned while a part of LA's benchwarming unit. The frontcourt is where Portland's future lies, with All-NBA power forward LaMarcus Aldridge, incoming rookie Meyers Leonard, J.J. Hickson, Jared Jeffries and new import Joel Freeland making up the rotation. Aldridge is the reluctant face of the franchise, a mobile seven-footer who has a smooth jumper, great defensive timing and a versatile offensive skill-set. However, while he flourished in Roy's absence recently, once the novelty of having all the shots he wanted wore off, Aldridge's intensity wore off, as the constant double teams and pressure got to him. That said, at his best, he's the best two-way power forward in the NBA, and with a new coach, a new aura of optimism in Rip City, Aldridge, now 27, will be entering his prime years at just the right time. Whether he can continue to elevate his game and embrace the pressure of being a franchise player will be a determinant of his place as the NBA's best power forward, or the most underrated. Joining Aldridge is Meyers Leonard. The freakishly athletic Leonard is extremely mobile for his size, has great length, and is surprisingly capable with the ball in his hands. That said, he is still raw offensively and has a tendency to coast, rather than assert himself on the block and use his size and strength to dominate games. Luckily, Leonard landed alongside a premier scoring big man, and his role will be to defend, rebound and run the floor, and if he can do these things in his rookie year it will be a success. As Aldridge ages and Leonard develops there's a good chance they can maintain a dominant presence inside between the two of them for many years to come. J.J. Hickson is an athletic beast, and despite bouncing around a few teams in the aftermath of Lebron's Decision, he seems to have found a niche in Portland as a scoring big man off the bench, with his ability to make tremendous athletic plays giving him an immediate edge against the majority of bench bigs in the NBA. That said, he's traditionally played his best in extended minutes, and whether he can produce in limited minutes will be a question that needs to be addressed before the season's end, when he'll be up for another contract. Jared Jeffries is a defensive specialist, and at the very least he'll be able to mentor Meyers Leonard on that side of the ball and provide minutes off the bench or as a starter without disturbing team chemistry. Joel Freeland was a player many thought would never make it to the NBA, but he's finally arrived, and while he's not going to turn the franchise around, he's a big body who's had plenty of experience playing professional basketball, despite being new to the NBA. The Blazers will likely take a "centre by committee" approach this season, with Leonard, Jeffries and Freeland all sharing minutes, as none of them is capable of extended play at the 5 for various reasons (age and offensive ability chief among them). Whether the Blazers new point guard will put his License to Lillard to good use is going to be worth watching as the season progresses, but to me the most interesting storyline comes from the bench mob. With sixth man extraordinaire Jamal Crawford gone to LaLa-land, the role of bench scorer is up for grabs, with a number of worthy candidates in Barton, Smith and Williams. However, only one of these guys will be given the responsibility of putting up numbers off the bench, and with no precedent to fall back on given the relative inexperience of the group, this is a role that will be determined solely by merit. If I were a betting man, I'd go all-in on Barton cementing himself as first guard off the bench by season's end, but only time will tell. The Blazers have bottomed out as much as they can afford to with Alridge's peak years beginning now, so tanking another season to secure a high lottery pick isn't an option. However, the playoffs are likely out of reach, so Coach Stotts needs to use this season to install his systems, teach these guys how to win and prepare for a serious playoff push when his young team has another year of seasoning under their belts. Aldridge is too good a player for the Blazers to go much lower than 10th in a deep Western Conference, but if they can develop their young players and win 35-40 games this will be a successful year for a franchise and city that desperately needs a win. Okay guys, you'll have to bear with me with this one, it might be a little short or rushed but the day got away from me and I need to be somewhere in a couple of hours. The Sacramento Kings are a team waiting to take that next step for years now, and although on paper they have a very talented young core, the front office hasn't done a great job with the draft picks available and as a result the pieces don't necessarily fit together the way a team should. Whether it was trading down to get Jimmer Fredette with Brandon Knight still on the board, passing on Barnes for a tweener forward in Robinson or signing Marcus Thornton to a multi-year deal despite his many shortcomings, the future of the franchise off the court isn't the only thing that's hazy. But, you have to make do with what you've got, so let's get amongst it. While having a deep roster is important, with young teams it can be more important to avoid a logjam so the players have a little consistency and room to go in their formative years in the NBA. Unfortunately, the Kings are a textbook example of how not to build your guard rotation, which for Sacramento consists of Tyreke Evans, Aaron Brooks, Marcus Thornton, Isaiah Thomas, Jimmer Fredette and occasionally John Salmons. Although Tyreke was drafted as a point guard, and accomplished an historic feat as a rookie while playing the position, his bread and butter has always been scoring so he's more suited to the off-guard. However, he needs the ball in his hands to be effective and he hasn't shot the ball well since coming to the NBA, which means he's more of a tweener than a combo-guard, in that rather than being able to play both positions effectively, he's unable to play either the right way. However, it's not all Tyreke's fault, he's had to endure terrible team mates, an unexpected coaching change, and the sort of positional instability you can only really handle if your name is Lebron James. Tack on a nagging case of plantar fasciitis and other assorted injuries and it's no wonder his progression has stalled. That said, coach Keith Smart will have the opportunity to install his systems properly with a full training camp, Tyreke has been more or less healthy this summer and the Kings finally snagged the sort of back-court partner Tyreke has always needed in Aaron Brooks. This is a make or break year for Tyreke with the Kings, if he stays at the same level for another season they'll be forced to look elsewhere for the future of their franchise. All Tyreke needs to do is show he can play the SG position with reasonable success, continue to fix his jumper and display leadership on a team that desperately needs it. Tyreke's ball-dominant tendencies and extraordinary ability to beat his own man with that smooth handle makes him an ideal match for a point guard who can shoot the long ball accurately, get others involved and play without the ball in his hands. Thankfully, this is just what Tyreke got in Aaron Brooks. Although Brooks is only a career 36% shooter from range, he shot close to 40% in the 2009-10 season where he won the NBA's Most Improved Player award. It's no coincidence that the 09-10 season was the only time he's averaged more than 30 minutes per game, which indicates that he's a rhythm shooter, and there's no reason he can't thrive again with the extended minutes he'll be seeing as the starting point guard for the Kings. Although he's been bounced around a few teams in his five year pro career (including going to China last season), he gives the Kings exactly what they need, and despite being a bit of a diva off the court in the past, his humbling fall from grace and age (27) should prevent this being an issue in Sacramento. Marcus Thornton is the real headache facing the Kings, he's undersized at 6'4, doesn't know the meaning of the word assist (career 1.8apg) and hasn't met a shot he didn't like, despite shooting only 43.8% from the field last season. Yes, he puts points on the board, but it's his attitude on the court that is the real danger. He will rarely make the extra pass, he's more concerned about his own numbers and ego than winning, and his production drops off immediately in limited minutes. For whatever reason, the Kings front office fell in love with his empty numbers to the detriment of Tyreke Evans, and if Evans and the Kings are going to move forward, it needs to be without Thornton on board. With Brooks likely to start at the point, you'd hope Coach Smart will abandon the idea of Tyreke as a SF and sit Thornton on the bench, but with the Kings you never know. Isaiah Thomas is a great value player for where he was taken and what he brings to the court, but that is no reason to lose your head and declare him a building block, because at the end of the day he's still grossly undersized and lacks the upside to compensate. With Brooks on board Thomas should be relegated back to his role as backup point guard and unlike Thornton, he can produce in limited minutes and is a team-first player who really cares about winning. If the Kings are smart they'll keep him on board, but not overpay for a guy who is best served as a role player on a playoff team. What can I say about Jimmer? I never quite understood the hype in college, and I was even more gobsmacked when the Kings passed on the opportunity to get Brandon Knight by trading down for him. Although on the surface he fits what the Kings needed in a backcourt partner for Evans with his sharp-shooting skill-set, his complete inability to play without the ball in his hands, poor catch and shoot numbers, inability to guard his man, timidity when faced with NBA level defence and score-first mentality made this pick a disaster. Although he showed in Summer League that he's been working hard, he's still never heard the word "accountability" on the defensive end, and he's as ball-dominant as ever, with a very limited upside. If he can beat out Thomas for the backup point guard spot or even come off the bench as a shooting guard he might be able to find a niche as a Steve Kerr type of player, but Jimmer is just a glaring reminder of the dangers of college hype. Salmons is the last man in the rotation, and despite being advanced in years his production has dropped significantly since his first year in Milwaukee and he doesn't provide the sort of leadership you expect of a veteran. He'll see some time at the 2 and 3, but the smart money says it will be mostly during garbage time. The small forward position is a bit of a head-scratcher for the Kings, they have an obvious need there, but when given the chance to take the perfect small forward for this team in Harrison Barnes, they instead opted for another big man in Thomas Robinson. Now they are left with Francisco Garcia, Travis Outlaw, Tyler Honeycutt and James Johnson. Garcia's best season came in 08-09, but his numbers and effectiveness have been in a steady decline ever since and it's hard to see them increasing this season. That said, he's a hard worker who doesn't complain so at the very least he'll provide a bit of passion to a team that is sorely lacking it. Outlaw was a promising player with Portland a few years back, but after being grossly overpaid by the Nets and then failing completely to live up to his contract his performance suffered considerably. However, he's long, athletic and largely inoffensive, so he should be part of the rotation early. Tyler Honeycutt was one of their other draft picks last season, but he played only sparingly. Despite this, he's still got a reasonably high upside at only 22 years of age and if he continues to put on muscle should be able to work his way into the starting SF position either this year or the next, that's how bleak things are at the 3 for this team. James Johnson is another candidate to start at the SF position, he's a big body, defends his man with great effort and intensity, shoots a reasonable 30% from range for his career and doesn't need shots to be effective. Ideally, Johnson will start with Honeycutt being developed off the bench as the eventual starter in the future barring any other acquisitions. Finally a position where the Kings have done things right! The Kings hit a home run with the acquisition of DeMarcus Cousins in the 2010 draft and incoming rookie Thomas Robinson could be a similarly successful selection. 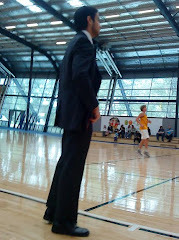 Cousins struggled early in his career, clashing with Coach Westphal and antagonising his opponents with colourful hand gestures, but after Keith Smart was hired as head coach his production rapidly increased. In a show of solidarity, Cousins told reporters that it was his and Tyreke's team still, and they Evans was a large part of this team's future, regardless of what other people said. This speaks to the growing maturity Cousins has exhibited as his young career has progressed, and he realises that he can't do it all alone. However, his conditioning remains worrisome and if he's ever going to take the next step and become the All-Star C he's capable of being, he'll need to drop the fat and improve his stamina, mobility and lateral quickness. Expect Cousins to increase his scoring numbers and efficiency, and be a legitimate 20/10 guy on his way to a possible All-Star selection in the West, IF he can reduce his foul count and stay on the floor longer. Thomas Robinson was a workhorse in college, a tremendous athlete and a relentless competitor. These are qualities that are in short supply in the Kings locker room, and hopefully his work ethic will rub off on his team mates, because as Robinson already demonstrated in Summer League, he isn't going to hide his emotions or just take losing lying down. With Cousins banging on the low block, Robinson will be better served as a pick and roll partner for Tyreke Evans, with his ability to shoot the mid-range jumper and great mobility making him an ideal fit. However, despite his good qualities, I am still sceptical about how high he was taken, and I think he'll struggle initially in the NBA as he comes to terms with the fact that he's not a stand-out athlete every night any more. How well he adapts to the length and strength of NBA bigs will be worth watching as his rookie season progresses. Backing up these two youngsters are Chuck Hayes and Jason Thompson. Hayes is a consummate veteran, who defends the low block with the best of them despite his small stature at 6'6", and plays with a relentless motor. He'll provide leadership, great minutes off the bench or as a starter and won't ruffle the feathers of his team mates, which is really what you expect your veterans to do (I'm looking at you John Salmons). Jason Thompson is a long, athletic PF/C who shoots a great percentage from the field, will hustle defensively and work hard. However, he lacks a polished offensive skill-set, and at 26 years of age already, doesn't look like he'll ever develop one. Despite this, he's a useful role player to have and a quality big man to bring off the bench or start if need be. Whether Robinson starts right away will be dependent on how well he plays in training camp, but either way, the future of the Kings will rest in how well Cousins and Robinson can complement each other on the court and off. Should I stay or should I go? This is the question the Maloofs seem to be asking themselves, and the answer is always different depending which day of the week it is. Although there are plenty of great basketball storylines (can Jimmer get on the court? is it Tyreke's or Cousins' team? etc.) the biggest shadow looming over this franchise is the possibility of an impending relocation. This is likely to distract the team and alienate a once rabid fan-base as the season wears on. Unfortunately, it looks like these guys are bound for another trip to the lottery, albeit at a higher seed this time around. With their new additions and a full training camp under Coach Smart, the Kings should be able to leapfrog the Rockets, Suns and Blazers to compete with the Warriors and Jazz for that 8th spot in the West. Ultimately they will fall short, but should finish with around 35-40 wins, which will be a success for a team which has languished in the bottom 5 teams for the past few years. Next up are the Portland Trailblazers. Heading up the guard department for the Spurs are the ever-reliable Tony Parker and Manu Ginobili; the two of them remain effective as ever, Parker in particular having a tremendous season in 2011-2012 and indicating that he is now the pivotal member of the Spurs Big 3. Parker is still one of the best point guards at scoring in the paint, has added a jump shot in recent years, and his floater is as deadly as ever. Ginobili will be coming off the bench again this season, and the only numbers that will likely drop are those of his bank accounts, with the new flopping penalties specifically targeting his defensive tendencies. Backing up these two franchise cornerstones are Gary Neal, Patty Mills, Danny Green, Nando De Colo, Corey Joseph and Marcus Denmon. Neal was a late invite to the NBA, but like Toronto's Alan Anderson, he has a well-rounded skill-set, a fearless mentality and great size. Mills is coming off another strong showing in the Olympics, which might have just earned him the position of first point guard off the bench, but that might just be my Australian bias kicking in. Corey Joseph was a former first rounder who has seen limited action in the pro ranks, but this might be the season he starts to earn a spot in the rotation, especially if Parker misses time with injury. Danny Green will likely hold down the starting shooting guard spot for the regular season for a second straight year, his team-first mentality, athleticism and intensity making him a favourite of Coach Pop. Nando De Colo is another late arrival, at the still young age of 25, he's a team mate of Parker's on the French National team, and to be honest, I was unimpressed with his performance in the Olympics. He was flustered by aggressive pressure in the half-court and turned the ball over frequently in the games I watched. However, even if it's a rough first year, expect Nando to eventually work his way into the rotation. Denmon was one pick away from being Mr. Irrelevant in the 2012 draft, and it's unclear whether he'll survive training camp and remain on the roster with the amount of guards already on board. Checking in at the 3 for the Spurs are Kawhi Leonard, Stephen Jackson and Matt Bonner. Coming off a rookie year where he proved his defensive ability translated to the NBA and that rumours of his poor shooting touch were exaggerated, Leonard has all the makings of a next-generation franchise cornerstone. He's a selfless, hard-working forward with great defensive potential, underrated scoring ability and plenty of room to grow. On a team like the Spurs where Coach Pop does arguably a better job than anybody in the NBA at getting most out of his players, Leonard will have room to grow at his own pace and may eventually take the place of Parker as the team's focal point as the team transitions into the post-Duncan era in the next few years. With a full training camp under Pop and a deep playoff run under his belt, look for Leonard to be more of a scoring threat this season and play plenty of minutes as the old timers get their rest. Speaking of old timers, Jackson now fits in this category, but while he's no longer the inspirational leader who led a plucky Warriors squad over the hotly favoured Mavs a few years back, he's still a long, tough defender, with great shooting touch and loves being a part of the Spurs franchise. Jackson did a great job getting under the skin of Kevin Durant in the early part of the Western Conference Finals last season and like many older players, his value will be more apparent in the playoffs than the regular season. Matt Bonner will play minutes at either forward spot, and will continue to benefit from the Spurs' excellent ball-movement to drain open 3s. Neal and Green might also play spot minutes at the SF. The big man rotation of the Spurs consists of Tim Duncan, Tiago Splitter, Boris Diaw and DeJuan Blair. Although the mechanically efficient Duncan is starting to spring a few leaks, he can still elevate his game when necessary, as Serge Ibaka found out in the WCF when Timmy almost casually spun off the low block to surgically slam the ball home in the face of the leading shot-blocker of the past season. Pop will keep Duncan's minutes down to keep him fresh for the playoffs, which should open up opportunities for Tiago Splitter to gain confidence and continue the strides he made last season. Splitter was arguably the most decorated player outside the NBA before making the jump to the Spurs, but he struggled to adjust the the pace and athleticism he faced in the US. However, he showed steady improvement last season and with more minutes and responsibility he'll be a key part of the Spurs' regular season bid for a top seed in the West. Diaw and Blair share a few traits; they are both undersized and stoutly built, but that's where the comparison ends. Diaw is a versatile player who makes up for his lack of quickness with a tight handle, great vision and keen understanding of positioning on the court. Looking lost on the Bobcats early last season, Diaw found new life alongside his fellow Frenchman Tony Parker, and it was no trouble for Pop to get the most out of him. Blair on the other hand is the ACL-less marvel who gets by on extreme aggression, athleticism and toughness inside. Although he wowed people early in his career, he has somewhat lagged of late, and seems destined to be a bench player for a playoff team, but his broad frame and strength should be useful against the powerful big men of the West. The always reliable Spurs are lacking in any huge roster changes, but they did draw the attention of optimists everywhere by inviting newly minted championship player Eddy Curry to training camp. Curry was part of the initial post-Jordan revival alongside Tyson Chandler, and while he put up numbers early in his career, his motivation dropped after his first major contract and he put on obscene amounts of weight. He has barely seen the floor for years, but he has reportedly dropped below 300 pounds again, and if any team is equipped to motivate and guide a highly talented player like Curry, it's the Spurs. Still only 29 years old, and without plenty of rest in the past few years, a healthy and motivated Curry could provide the Spurs with at least four more years of quality basketball. Of course, that all depends on whether he makes it onto the roster, but with the Spurs' tendency to save the careers of NBA misfits, it's not too much of a stretch to see Curry beating out Blair or Splitter for minutes off the bench. Although the Spurs always seem to find a way to win in the regular season, looking at the moves made by other teams in the West it's entirely possible that they finish around the fourth seed this time around but make it out of the first round come playoff time. I know the Spurs are criminally underrated, but with their current roster it's just hard to see how they'll manage to maintain their standard of excellence in a reinforced Western Conference. The powers above haven't been kind to the Toronto Raptors in their brief existence, first Vince Carter skips town, then Bargnani completely fails to live up to the hype of being 1st overall, and then Bosh leaves to boot. Of course, that's all old news, but the most recent kick in the crotch for the only international NBA team was Steve Nash passing up the opportunity to guide this young core to the next level and go out in a blaze of patriotic glory to chase a ring with the Lakers. In one off-season the point guard position became a murky grey area to arguably the deepest position for the Raptors, with Kyle Lowry, Jose Calderon and John Lucas III forming a great three-man rotation. Although I feel like recently departed Jerryd Bayless was a very similar player to Lowry and they gave up on him too soon, Lowry gives them a guy who is ready to perform right now, and for a team which has languished in the lottery for too long, they needed a bold move. Lowry brings a fearless attitude, a versatile skill-set and a respectable outside shot to the table, he also defends like a maniac and isn't afraid of the big moment. It was this relentless competitiveness which caught the eye of coach Dwane Casey when Lowry torched his Raptors last season, and Casey's hands are all over this acquisition. Although Lowry won't stand out amongst the multitude of great point guards in the Eastern Conference - Rose, Rondo, Williams and Irving to name just a few - he is dangerous and tenacious enough to give them pause and match them when he gets hot. First point off the bench is Jose Calderon, who brings a completely different skill-set to the table with his pass-first mentality, turnstile defensive ability and lacklustre athleticism. Although his days as a quality starter are gone, Calderon will be arguably the second best point guard off the bench this season, behind an ageing Jason Kidd. Like Kidd, he'll be brought in to steady the tempo for this largely inexperienced team and be a role player, a task which he is more than capable of carrying out. John Lucas III was unknown to the casual fan until he stepped in for the Bulls when Rose and Watson went down with injury and had a few brilliant performances, including 24 points in a win over the Heat in March, and a fourth quarter outburst against the Raptors team he now plays for. He's unlikely to see a lot of run unless Calderon or Lowry go down, but both of these guys have missed significant playing time over the course of their careers, so he's excellent insurance to have as a third-string PG. If there's one thing the Raptors have, it's wings as far as the eye can see. Incumbents DeMar DeRozan, Alan Anderson and Linas Kleiza are joined by new signee Landry Fields and rookie Terrence Ross. DeMar DeRozan was supposed to be the hope of the future after Bosh left. He'd made promising strides between his first and second year, fixing some holes in his game and showing a scoring mentality befitting a potential franchise player - not to mention all-world athleticism. However, in the lockout-shortened season just past he failed to improve and his numbers actually dropped, scoring less points on the worst field goal percentage of his young career. However, a number of factors can explain this lack of progression; a coaching change, no training camp, limited practice time, injuries to other key players. The coaching change meant that DeRozan had to learn to play in a different manner and this can be a difficult adjustment for any young player, but when you consider he had to do this without the benefit of a full training camp and was unable to practice much during the season with the busy schedule, the lack of progress is understandable. In addition, DeMar had to deal with being the first option most nights before he was ready with Andrea Bargnani missing much of the season with injury. While DeMar's shaky handle, poor long-range shooting and questionable defensive ability are all serious question marks, it's far too soon to give up on him and I fully believe with more attention from the coaching staff this off-season, a full training camp, and help in the form of Lowry and a healthy Bargnani that DeMar will prove he can be a key contributor on a team expecting to push for the 8th seed in the East. Alan Anderson is simply a prototypical shooting guard, he's the right size, can play off the ball and shoot it from range, but you'd expect those things from a 29 year old who only recently broke into the pros, and he'll provide veteran leadership and guidance to the young wings on the team in addition to contributing on the court as a role player. Linas Kleiza is likely the odd man out in this five-man wing unit, he's slow, unathletic and has questionable shot selection. He earned his contract after tearing it up for Lithuania in the 2010 World Championships, but that form didn't carry on to the NBA, and his showing at the Olympics doesn't breed much hope for his place on the team this upcoming season. Former Knick and certified second-round steal Landry Fields was a good, but not great pick-up for the Raptors. He's a very polished player who, while lacking upside, can be relied upon to do what he does best; run the floor, defend at the 2/3 and play his role without complaining. While he's not going to wow anybody, he'll add solidity to a SF position that has been shaky in recent years. Rookie Terrence Ross is going to be a player to keep an eye on; he's 6'7, has a great mid-range game, can shoot the long ball and oozes athleticism. Beyond that, he's a decisive player who doesn't hesitate mid-way through a shot or second-guess himself, but also shows reasonable shot-selection. Like DeRozan his handle could use some work, but he makes up for it with his smooth shooting stroke. Although he'll likely come off the bench behind DeRozan and Fields this season, this kid could be a much better player than the shooting guards taken ahead of him in Waiters and Beal, as he possesses a more prototypical game, has better size and length, and is more athletic across the board. Whether he forces DeRozan to the SF position or simply off the team altogether, the Raptors have another great pick-up in the draft after taking C Jonas Valanciunas last year. The Raptors also have an abundance of power forwards, and a decent centre rotation to boot with Andrea Bargnani, Ed Davis, Amir Johnson, Jonas Valanciunas, Aaron Gray and rookie Quincy Acy. I'll start with Bargnani, because I think people have given him too hard a time. Yes, in this very article I said he completely failed to live up to the hype of being a #1 pick, but what I didn't say is that it largely wasn't his fault. For starters, Bargnani was miscast as a C who could play alongside Chris Bosh, which was a disaster. Bosh and Bargnani both rely on a combination of quickness, finesse and shooting touch to score and while redundancy can be a good thing, it simply meant that everything Bargnani could do, Bosh could do better. In addition, neither Bosh nor Bargs bang in the paint or protect the rim, which meant they were abused inside on the regular. The point is, Bargnani has been playing out of position for most of his career, and it was only after Bosh left that he was finally able to play the PF position he was best suited to. Unfortunately, he had a bad run of injuries the last two seasons, but while healthy he put up better numbers than he had alongside Bosh and thrived as the first scoring option. While he's always been lacklustre defensively, he showed marked improvement in effort and intensity under Coach Casey last season, and with a full training camp and a clean bill of health, at only 26 years of age, it's far too early to give up on a player who averaged close to 20ppg the last two seasons and is only just now entering his prime. Another factor which will help Bargnani is the addition of Jonas Valanciunas, their 2011 draft pick whose skill-set is the perfect complement to Bargnani's. Where Bargs likes to shoot the mid-range shot and take bigger players off the dribble, Jonas is a true banger inside, standing at 7 feet, with a relentless motor, great athleticism and the defensive potential to anchor the defence and cover Andrea's mistakes. While he's still young, foul-prone and quite raw offensively, he's a very talented young player, and there was talk that he could have been the 2nd overall pick in 2011 if his contract situation wasn't so murky. Jonas will be given a lot of minutes for the Raptors and having a defensive mastermind like Casey in charge should help accelerate his development as a rim-protector. Ed Davis is the other young buck the Raptors fanbase loved so much as a rookie they wanted Bargnani gone to make room for his growth. However, the southpaw from UNC is entering his third season as a pro and has failed to show the sort of consistency and effort that would give the front office enough confidence to bet on him. He'll get a pass after missing training camp with the new coach last season, but this is a make or break year for Davis and his status as a building block of Toronto's future. If Davis can provide productive minutes off the bench at the PF/C position without complaint it will go a long way with the guys upstars. Amir Johnson is a dime-a-dozen jumping bean who doesn't really have a position, lacking the skill to play the PF and the girth to play the C position. The Raptors quite frankly overpaid for him, but he's a hard worker and should find a spot in the rotation as a 4/5 off the bench. Aaron Gray is a big body who has bounced around from team to team but never out of the league because he fills a niche role as a banger who will play tough inside; he'll probably ride the pine for this season unless an injury drops a couple of players ahead of him in the depth chart. Speaking of players who will ride the pine, the second-rounder from Baylor, Quincy Acy. He's almost the complete opposite of Amir Johnson, he's built like a tank, undersized and finishes with authority at the rim due to his great wingspan. Although Toronto fans had their hopes first raised, then dashed when David Stern announced which Quincy from Baylor they had selected, he's a great locker room guy, a leader and won't complain. Having a guy who works as hard as he does in training will be worth it for the galvanising effect it will have on the other players alone. There are a couple of interesting storylines facing the Raptors for the 2012-13 season; can Lowry be more of a distributor with all the scoring talent he has around him? can DeRozan bounce back? can Bargnani stay healthy for 70+ games? who will be the first option offensively? The latter is probably the most interesting, as while Bargnani thrived as the first option, DeRozan really came out of his shell in the 2010-2011 season when Bargnani went down with injury, and he might struggle to find a rhythm without enough touches. Fields and Valanciunas will likely round out the starting lineup with Lowry, DeRozan and Bargnani, and the former won't be taking or needing too many shots, but Coach Casey has his work cut out for him trying to find a way to get all three of the other involved and sharing the ball. Lowry and Bargnani shouldn't be too much of a problem as they will be a formidable pick-and-roll tandem, but it's DeRozan who will keep Casey up at night; he doesn't shoot the ball well enough to space the floor, and his handle holds back his potential as an isolation scorer, especially when you consider both Lowry and Bargnani are better iso scorers than he is at this stage. How the shots are spread amongst this team bears watching. The Raptors made a lot of changes this off-season in a bid to get competitive, and that means nothing less than a playoff appearance will be deemed a successful season. Looking at their roster and the downfall of teams like Orlando and dependent on the health of Rose, Chicago, there's a definite possibility that Toronto will be able to squeeze into a 7th or 8th spot in an Eastern Conference which suddenly got a lot deeper, with a number of former bottom-dwellers making big acquisitions and gearing up for a run at the playoffs. If the Raptors are going to achieve their goal, they will need to continue their good form defensively, sort out their offensive structures and most of all, stay healthy. If Bargnani or Lowry go down with a long-term injury, they can kiss their season goodbye and the franchise will be stuck in another year of limbo - much like the Trail Blazers of late who kept waiting to have all their pieces healthy and it never happened. Still, this is a team deep with role-players and loaded offensively, at the very least they'll be fun to watch, and they have by no means hit the ceiling of their potential as a core group. Next up, the San Antonio Spurs. Having spent the last three days limping around with sore quads after pushing it too hard at the gym, I'm looking forward to sitting down for an hour or two and breaking down the Utah Jazz, even if they used to be one of my least favourite teams. Oddly enough, the Utah Jazz bear a striking resemblance to the Wizards team I previewed yesterday; they have a great mix of youth and veterans, their young core is improving every season and they have a frontline which boasts an enviable combination of quality and quantity, going a legitimate four players deep. There is one key difference though, but more on that later. I used to dislike the Jazz for a number of (admittedly petty) reasons, whether it was people putting Deron Williams above Chris Paul in the pecking order of PGs, Carlos Boozer's inability to rebound and silly tattoo and out of misguided loyalty to the long-retired Michael Jordan. However, with Williams traded and Boozer walking in free agency, the last remains of the 90s Jazz in Jerry Sloan gone, I looked at the franchise with fresh eyes, and I liked what I saw. So let's break it down. With Raja Bell excluded from training camp, C.J. Miles traded and Devin Harris shipped off to Atlanta, the guard rotation for the Jazz is going to be a little different from last season. New signee Mo Williams will likely fill the starting point guard spot - a weak spot on the roster last season with the inconsistent Harris starting - but you have to wonder whether Williams is going to be much of an improvement. Like Harris, he played an All-Star level (apparently) for a brief period in the past, but those days are behind him. He found new life coming off the bench in a Jason Terry-role for the Clippers last season, and was a difference maker as a Sixth Man. The question remains though whether or not he can re-adjust to a distributing role and display leadership for a team which is lacking it - if I'm being brutally honest, I don't see things going so well for Mo. Luckily, there are plenty of other guards to pick up the slack, with young 'uns Gordon Hayward and Alec Burks, and vets Randy Foye and Earl Watson filling out the rotation. Hayward is a tricky player to categorise because while he has the size of a prototypical SF at 6'8", he seems to play his best at the shooting guard. Known as the "baby-faced assassin" in college, Hayward remains a fearless scorer, sound decision maker and committed (if not particularly special) defender. He's a very hard worker on the court, and despite questions about his upside has shown that at the very least he's a starter in the NBA, whether at the 2 or 3. With another full training camp under his belt, expect Hayward to boost his numbers from last season as arguably the best perimeter scorer on the roster. I say arguably the best perimeter scorer because of his fellow young gun Alec Burks; standing 6'6", with a slick handle, great vision and an uncanny ability to get to the foul line, he was a player I was hoping Charlotte would take to give him a chance to be a first option player down the line. While this didn't happen, he slowly but surely worked his way into the rotation last season and showed flashes of brilliance towards the tail end of the season, with a few notable fourth quarter performances indicating that the Jazz might just have gotten themselves a steal. With his first full training camp under his belt and valuable post-season experience gained last season, if Burks has added a little muscle, improved his shooting and defends more consistently, he can play the role of James Harden for this Jazz team, leading the second unit and being an isolation scorer when called upon in the fourth quarter. Not much to say about Foye and Watson other than that they are great insurance off the bench and are great role players to have on any team. New import Marvin Williams, Gordon Hayward and occasionally Alec Burks will probably take the lion's share of the minutes at the 3. Williams has underwhelmed after being taken 2nd overall in the 2005 draft ahead of another (more successful) Williams, and the esteemed CP3. However, at only 26 years of age, and freed from the pressure of being a number 2 pick, Williams will have a successful season if he can defend with energy, shoot the long ball close to how well he did against Boston in the playoffs (50% from deep), and not step on the toes of any of their young wings. If Coach Corbin decides to put both Burks and Hayward in the starting lineup this season, then Williams might find himself back to his college role of sixth man. If there's a real question mark on the Jazz roster, it's the SF, but at the very least they have the length to defend some of the bigger SFs in the West (Durant comes to mind) with Williams checking it at a legitimate 6'9" with great mobility. This is where the strength of the Jazz lies, in their outstanding quartet of big men. The two veterans who (barring a trade anytime soon) will continue to hold the starting spots are Paul Millsap and Al Jefferson. If either of these two is going to be moved to the second unit it will be Millsap, at only 6'8" he's a little undersized for the PF position, even if it didn't stop him playing at an All-Star level for much of last season. That said, he was exposed somewhat in the post-season against San Antonio, scoring 4 less points per game and shooting 12% less from the field than he did during the regular season. Admittedly, the Spurs are a tough defensive team with great length and interior defence, but then so is every playoff team in the West, and he might be more useful coming off the bench rather than struggling against the Gasols, Howard, McGee, Ibaka and any the other starting bigs who have the length and mobility to render him ineffective. Moving on to Jefferson; Big Al has been bounced around to a few teams now, but he remains a very skilled scorer in the low post, one of the few Cs who can draw a double on the block, and his numbers in the post-season weren't far off his regular-season numbers. That said, he takes too many shots to get his points, and despite averaging a career high 2.2 assists last season, he remains a black hole offensively. If Jefferson is going to remain on board as a cornerstone of this Jazz team, he needs to score more efficiently and improve his mobility defensively. However, if the Jazz do make the post-season and face off with the Lakers, Jefferson has the requisite strength to bother Dwight. Similarly, Jefferson has the right build to guard other Western Conference Cs in Andrew Bogut, Marc Gasol, Nikola Pekovic and DeMarcus Cousins who like to use their sheer strength to score inside. Nipping at the heels of these two 27 year-old vets are youngsters Enes Kanter and Derrick Favors. Favors was the linchpin of the trade that sent Deron Williams to the Nets, and despite a slow start in both New Jersey and Utah, he came on strong towards the end of last season, showing the length and athleticism that demostrates his potential as a game-changer at the defensive end. While his scoring numbers are modest, he upped them against the Spurs in the post-season and is still very young. Look for Favors to possibly oust Millsap for the starting PF position, as his mobility, rebounding and shot-blocking ability meshes well with Jefferson's low-post scoring and slow feet on the defensive end. Despite having finished his rookie year in the NBA, Kanter remains an enigma to many people. After missing a year of basketball due to eligibility issues, Kanter looked out of shape, slow and underwhelming for a 3rd overall pick. However, recent pictures circulating the internet show Kanter to be in drastically better shape than before, and the benefits of his first full training camp shouldn't be underestimated. Kanter's Turkish coach recently said he wasn't being used right by the Jazz because they aren't taking advantage of his shooting touch, but with the added mobility he'll bring to the table, Kanter might be able to play more of the pick and roll this season. That said, don't expect great things from Kanter whilst Jefferson is still with the Jazz, as they play a similar role and at the moment Jefferson is simply better at it. I said earlier there was one key difference between the Wizards and the Utah Jazz, and that difference is that the Wizards have already found their franchise player and he doesn't have any positional overlap with their veterans. Utah on the other hand, are still sort of scratching their heads about who is going to emerge as the star of this team. Favors, Kanter, Burks and some might say Hayward all have the potential to be franchise players, but with their young bigs playing behind veterans and Burks battling with Hayward for minutes at the 2, the Jazz almost have too many young prospects for any of them to reach their full potential. While this isn't an immediate concern as the Jazz are still deep enough to win without a star, in a few years you might see these four young players start to step on each others toes and force the franchise to break them up. The other major cloud hanging over the Jazz this season is the possibility that either Millsap or Jefferson will be traded; with the hectic schedule last season their quartet of big men weren't complaining about minutes because there were always enough to go around, but with the more sedate 82-game season it's possible that either the veterans will expect to increase their minutes and the young bigs will flounder, or the young bigs will play well enough to usurp a starting spot and cause discontent in the locker room, forcing a trade. It's highly likely that this rotation isn't the same one that will be there after the trade-deadline, and how this plays out is going to be very interesting. The aim of the Utah Jazz this season is two-fold; firstly, to make the playoffs once again, and secondly, to develop their young players so they can break into the NBA's elite. These two goals are somewhat conflicting, as Ty Corbin will be forced to juggle between them or he might find himself under pressure of being sacked. If the Jazz stay put and hold onto Millsap/Jefferson, I can see them sneaking into the playoffs as an 8th seed and putting up a fight in the first round, but the West just got even deeper with the Warriors now a legitimate threat for the playoffs when healthy and unless one of their perimeter players blossoms unexpectedly, the Jazz could miss out on a post-season birth without the added value on depth imposed by the lockout season's frantic pace. Next up we have the Toronto Raptors. The guard contingent for the Wizards consists of an injured John Wall, Jordan Crawford, newly-signed Jannero Pargo and incoming rookie Bradley Beal. Wall has languished since his meteoric rise from unknown recruit to #1 draft pick, hampered by nagging injuries, sub-par team mates and a lockout-lengthened off-season which resulted in Jimmy picking up a few bad habits. However, he remains the face of the franchise, a guy with limitless upside, and a pass-first mentality. While he has impressed people with his scoring ability, his capacity to play a pure point role is evident in his great career assist numbers when you consider the talent (or lack thereof) he's had around him. While he's resting his knee to avoid a stress fracture (something I've endured and wouldn't wish on anyone), he's only projected to miss eight weeks, and he should have plenty of time to take big strides this season. Crawford was acquired from Atlanta and immediately showed he could put up numbers in extended minutes, including a 42 point outburst at one point. That said, Crawford is somewhat undersized for the two-guard, and he is at his best with the ball in his hands as he isn't a catch-and-shoot type of player. Crawford was starting alongside Wall last season, but with sharpshooter Bradley Beal taken in the draft, it makes more sense to move him to the second unit where he can play a James Harden role for this deep Wizards team. Beal is also slightly undersized for the two, but he can play without the ball in his hands, has a smooth shooting stroke and proved his toughness by playing the small forward at times in college. The Wizards need Beal to blossom into a young running mate for Wall if they are going to keep their franchise player around after his rookie deal. While I have my doubts about the wisdom of taking Beal over Jeremy Lamb or Terrence Ross (both of whom have better size, length, and can shoot the lights out), I'm happy to be proven wrong. Beal failed to impress in the Summer League, shooting a terrible percentage from the field and struggling to get his shot off against NBA calibre athletes. While you shouldn't put too much stock in Summer League performances (after all, Derrick Rose stunk it up in his Summer League debut), it does send a few warning signs. Pargo is a veteran PG who not only gives them a player to run the show while Wall is recovering, but a great back-up off the bench when he's healthy. The Wizards small forward rotation will likely consist of new acquisition Trevor Ariza, and second-year player Chris Singleton. Although Ariza has been much maligned since his departure from the Lakers, he's played on some pretty terrible teams and been forced into a scoring role that he could never live up to. Thankfully, the Wizards don't need him to be a 1st, 2nd or even 3rd option for them. Instead, Ariza will be asked to play lockdown defence, spread the floor and knock down open shots. Luckily for the Wizards, these happen to be his strengths, and at only 27 years old, he will has a number of years ahead of him where he can play a watered down version of Luol Deng to John Wall's Derrick Rose. Singleton was drafted purely as a defender and a hustle guy, although he shouldn't be a long-term solution as a starter, he's a great bench player for the energy and defensive versatility he brings to the table. Although the Wizards are deep at every position this season, the real quality stems from their bigs. Nene Hilario, Emeka Okafor, Jan Vesely, Kevin Seraphin and Trevor Booker form an imposing frontcourt unit which few teams in the NBA can match. Nene and Okafor are both proven veterans who can play both the PF and C positions without a problem and both are excellent defenders. Nene is a good enough scorer in the post to draw a double team the majority of the time, and a good enough passer to make the right decision when the double comes. Okafor can hit the mid-range shot, will protect the rim and defend the low post. Having these two players manning the 4/5 is going to be a big reason for the Wizards' projected jump in the standings this season. But it doesn't stop there, because off the bench you have three young bigs who each bring something a little different to the table. Vesely is a terrific athlete for his size, can run the floor alongside Wall, has a motor that doesn't stop and has the potential to be a great shot-blocker at the PF. While he's still a project offensively, and could stand to put on some more bulk, the former #6 pick will be able to flourish without the pressure of starting right away, and should be ready to take over as Nene/Okafor age. Kevin Seraphin showed signs of being a true low-post scorer last season, and he continued his good form with his play for France in the Olympics. He has great footwork for a guy his size, soft touch around the basket, and is surprisingly agile given his build. That said, he's a little undersized and this makes him somewhat foul-prone on the defensive end, but with veteran players manning the starting positions, Seraphin should be able to give the Wizards some great production off the bench. Booker is the odd man out, and will likely see a reduced role next season, but despite being undersized, he's a banger inside, very athletic and will provide great insurance if any of the other bigs go down. When the Wizards snagged Okafor and Ariza this off-season, many experts were underwhelmed and figured they had overpaid for players who aren't stars. However, I disagree, although individually these acquisitions won't jump out at you, the new-look Washington Wizards are far more than the sum of their parts. They are now 10-deep with quality rotation players, have a great mix of youth and experience, a franchise player to bring it all together and a chance at the playoffs for the first time since Gilbert Arenas was a top-5 shooting guard in the NBA. That said, this was a gamble by Ted Leonsis, as they are more or less locked in with this current group for a few years, and Nene and Okafor aren't exactly spring chickens, so this team needs to make a big jump or Wall might start looking elsewhere. How well former interim-head coach Randy Wittman can integrate all these pieces with a full training camp is going to be the difference between a 6-8 seed in the East, or another disappointing trip to the lottery. When healthy, the Wizards are amongst the deepest teams in the league, have a big man rotation matched only by Utah and select others in terms of depth, and a game-changer in Wall. That said, they have already had a few injury concerns, with Wall resting and Nene still a bit banged up. That said, I'm going to take the positive stance and say that the Wizards sneak into the playoffs with the 8th seed and do surprisingly well against Miami. This season is about win-now, but this roster is far from maxed out given the multitude of young talent they have in tow, so a post-season appearance and further development from their young players will be enough to call this season a success, and I think that is what will happen. Up next, the Utah Jazz.